nakeroot has been used as an aromatic bitter. Benefits: Antihypertension , Anticancer , Anti-diabetic. 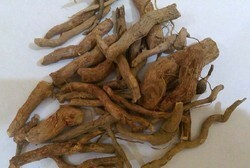 We are counted amidst the leading producer and exporters of Sarpagandha Root (Rauvolfia Serpentina Roots) in India. This plant is used medicinally both in the Modern Western Medical system and also in Ayurveda, unani and folk medicine. Snakeroot depletes catecholamines and serotonin from nerves in central nervous system. Sarpagandha root and root powder is also supplied by us. roots will be harvested only after reciept of order.minimum supply time of 15 days to one month till october 2016.No fertiliser or pesticide used. 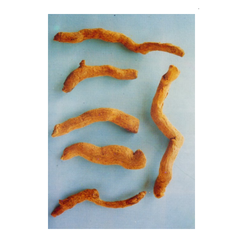 We are engaged in providing a wide range of Sarpagandha Root to our clients. Backed by rich industry experiences; we are highly engaged in offering a premium quality range of Sarpagandha Root. - Side Effect: Bronchial asthma, Duodenal ulcer, Hyperacidity, Renal disorders. Organic serpentina roots, three years old.